This 7200 sq. 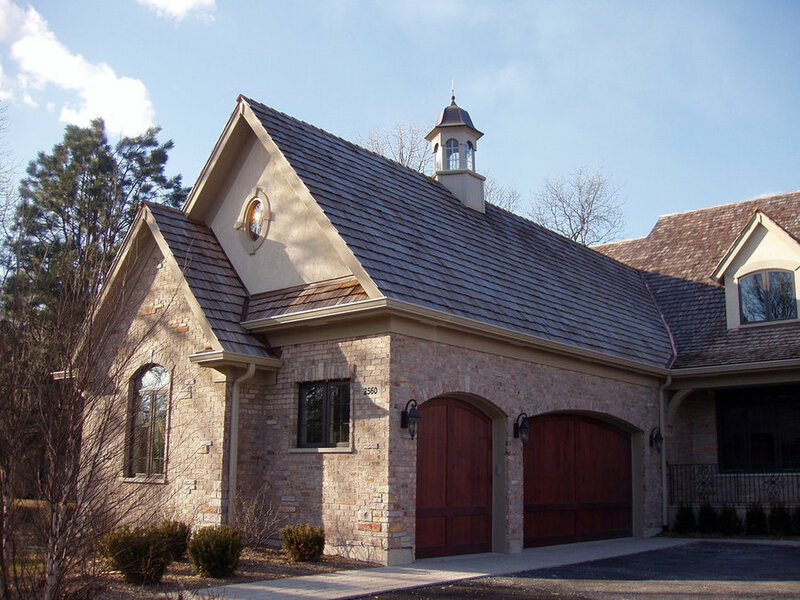 ft. Country French Style home has a brick, stone and stucco exterior. Six bedrooms and 6.1 baths home. This 7200 sq. ft. Country French home was built in Riverwoods on a little over an acre lot. The exterior is brick, stone, and stucco. The garage doors and front door were custom built. Cedar shake roof, custom made cupola over garage. ThisCountry French home was built in Riverwoods on a little over an acre lot. 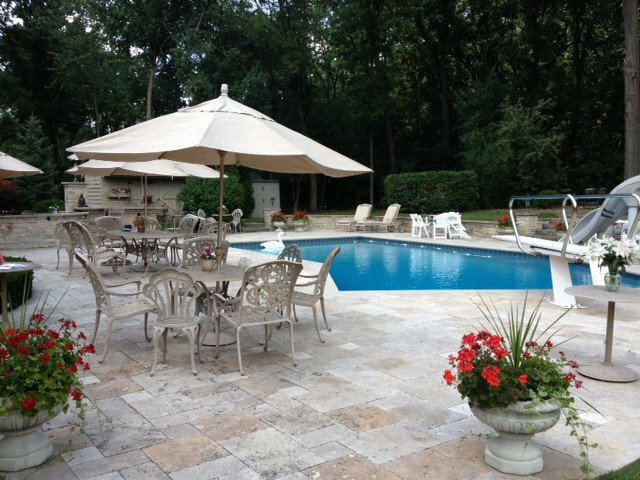 The pool area included a slide, diving board, outdoor kitchen, cabana, and firepit. 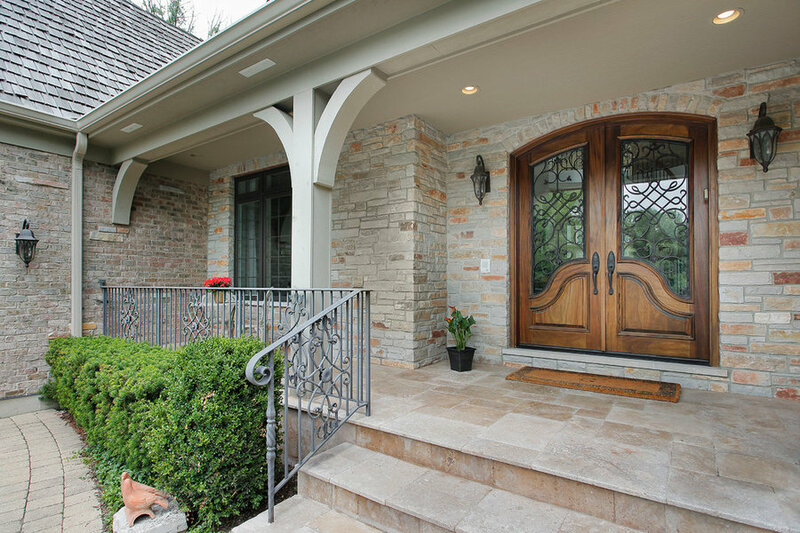 Front Entry has curved cherry staircase, with metal designed balesters and cherry handrail. The flooring is polished natural stone tiles with mosiac inserts and the 2nd floor balony opens to 2 story Great Room. The views from the Entry extend to the Great Room and the Backyard Pool. 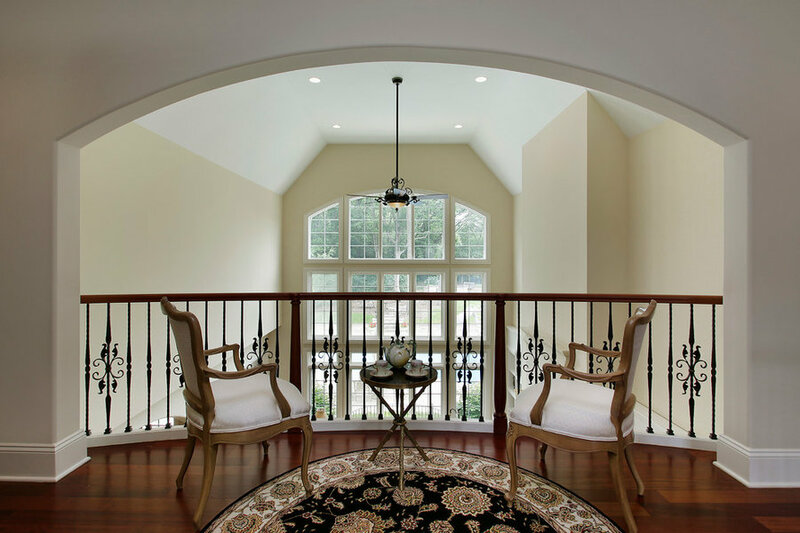 The Great room has 2 story ceilings with a wall of arched topped windows. The custom fireplace surround is made of Limestone. Built in painted cabinets flank the the fireplace wall. The arched openings are open to the entry hall and the kitchen/breakfast area. The flooring is cherry wood. Curved railing with metal balasters and cherry wood rail, over look the 2 story Great room with views of the pools and large patio. 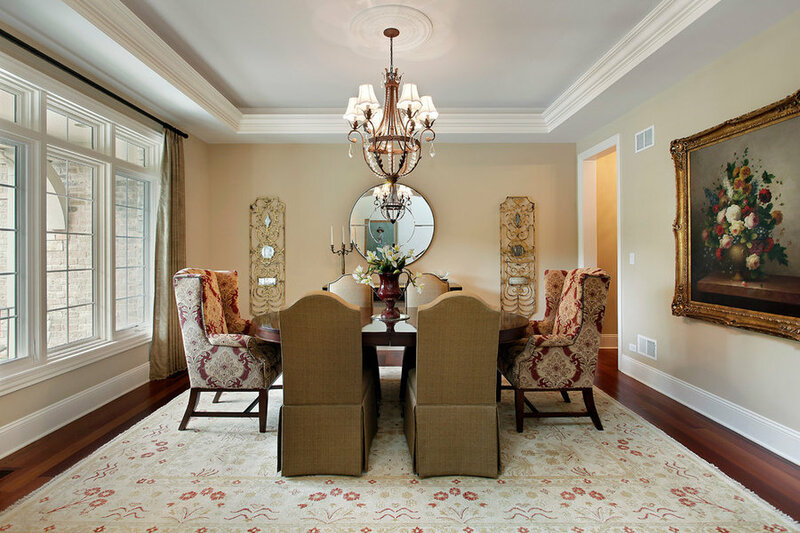 Dining room with recessed ceiling the has crown and rope lighting. 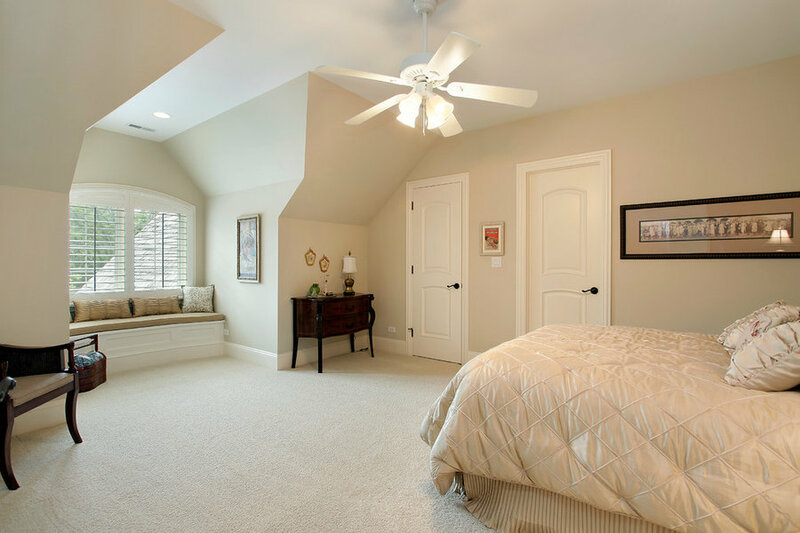 This large Master bedroom has a vaulted ceiling and exterior door that open on the patio and pool area. 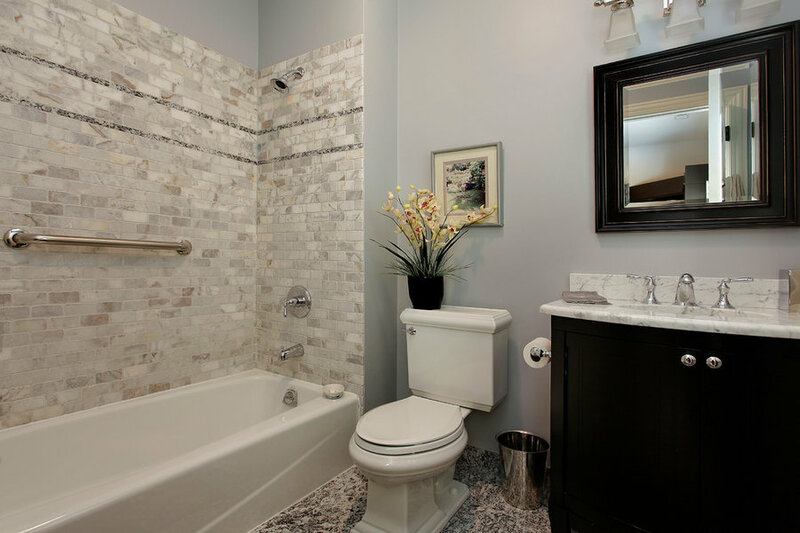 Master bath has a bubbler tub, heated floors, separate toilet room, large shower with body sprays, hand held faucet, rain shower head, and shower faucet. 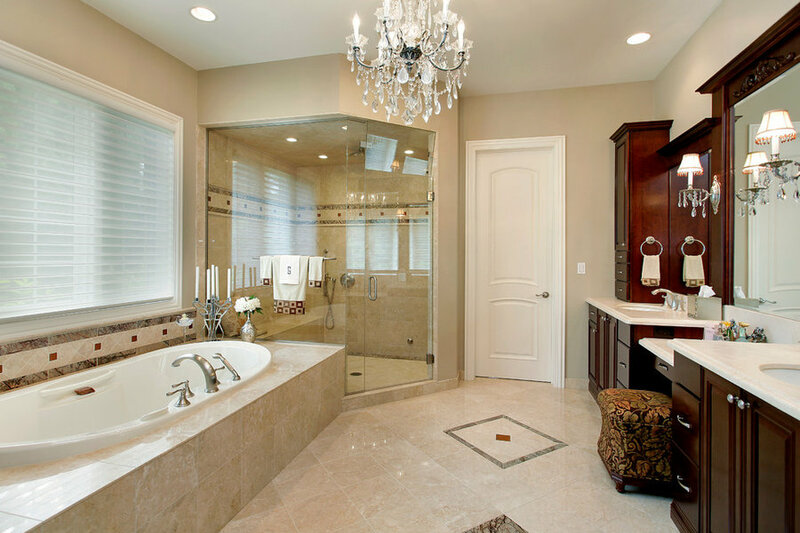 It has a steam shower and a special glass panel above the shower door to let out the steam. 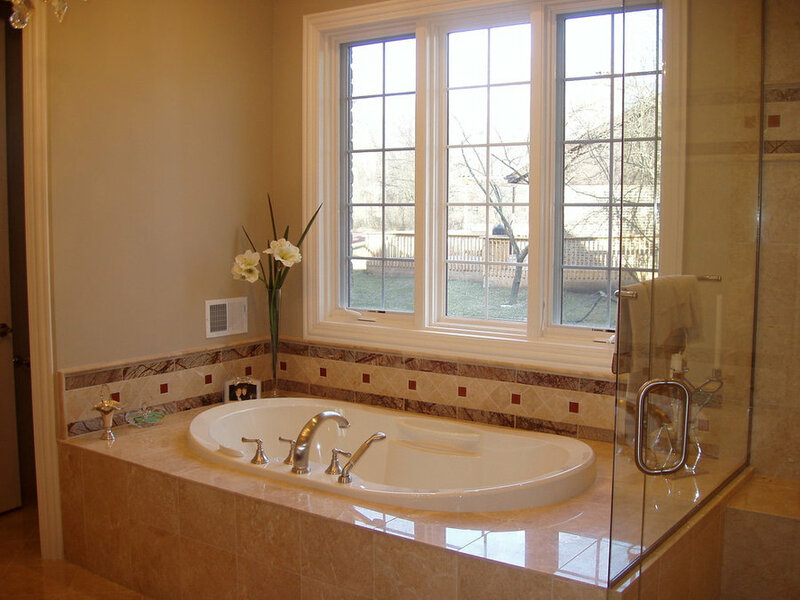 The double sink vanity cabinets are cherry wood and the countertops are honed marble. 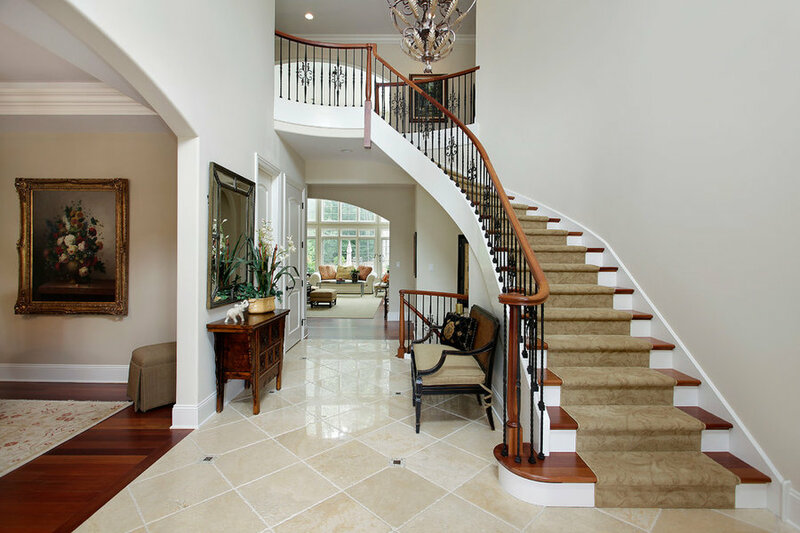 The flooring is marble with glass and stone design inserts. There is also a linen closet and door that open to a large walk in closet with organizers. 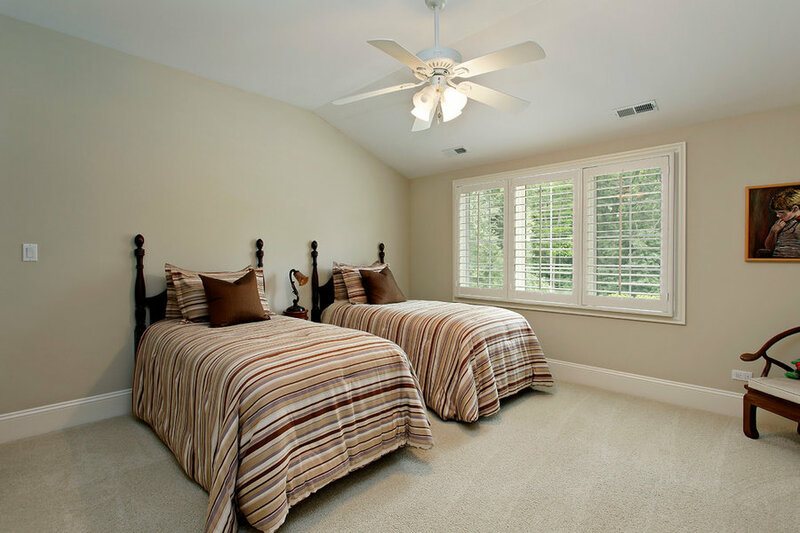 This guest room has an alcove with a custom seat bench and arched top window. There is a walk in closet and in room bath. 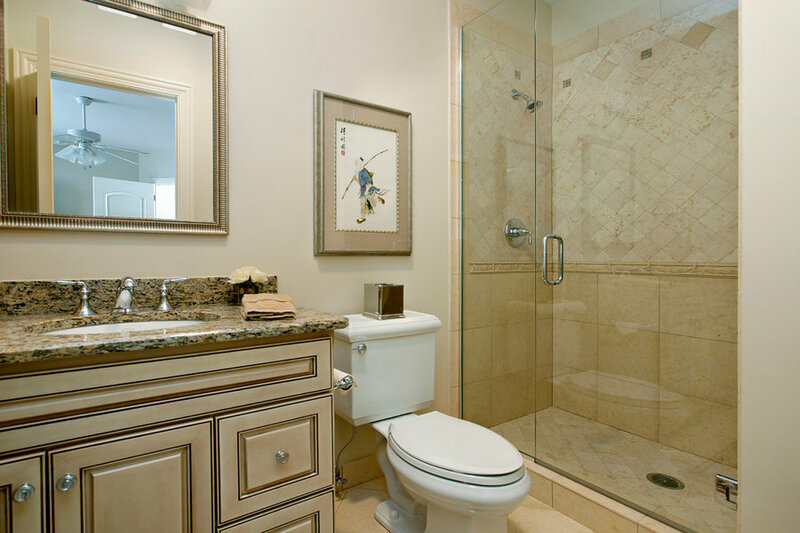 This in suite bathroom has a painted and glazed custom cabinet, stone tiles in the shower and floor. Kohler toilet and faucet. This guest room has a walk in closet and in room bath. This in suite bathroom has an expresso stained cabinet and mirror. Granite tile flooring and marble subway tile tub surround. Kohler toilet and faucet. 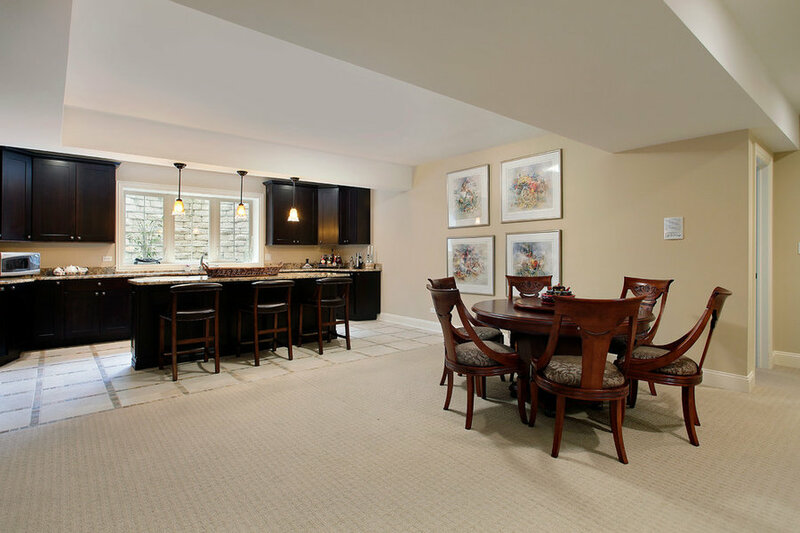 Lower level kitchen with wine cooler and frigerator. 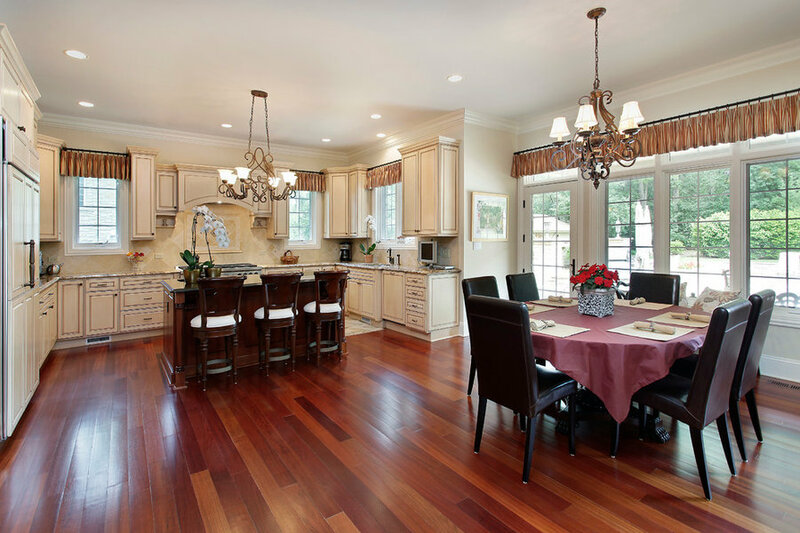 Expresso wood stained cabinets and granite tops. Large island is great for serving. Traveritine and mosaic tile floor. 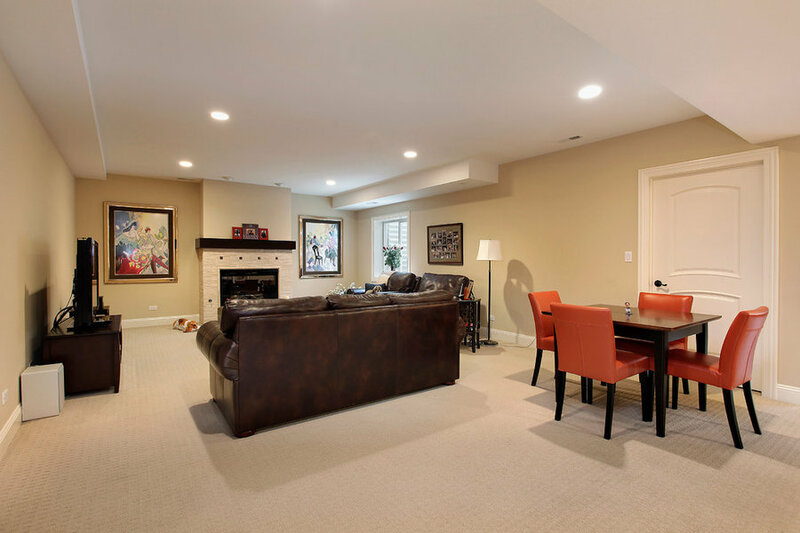 Lower level Recreational Room with gas fireplace.